Once I said to God, “How do you teach us?” And He replied, “If you were playing chess against someone who had infinite power and infinite knowledge and wanted to make you a master of the game, where would all the chess pieces be at every moment? 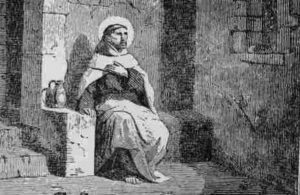 Indeed, not only where he wanted them, but where all were best for your development; and that is every situation of one’s life.” — St. John of the Cross. While I watched my grandsons cross the stage to receive their high school diplomas, I could not help but wish for both of them lives without trauma, disappointment, and sadness. I think we all want that for our children, almost as certainly as we know that life doesn’t work that way. When I talk to groups and audiences about my own journey without maps, I am usually asked more questions about the difficult moments rather than the good. They want to know how did I survive “X” or walk away without bitterness. St. John offers a good answer. God often doesn’t give us for what we ask, but instead gives us what is best for our development. I can certainly relate. Can you? Thanks Tom. I definitely relate. All my best dear friend. W.
Next Post: Did God Really Say The Word Goofball?